Some friends and I backpacked up to Broken Top in Oregon. I decided to take my Phantom 4 Drone with me and take some footage/stills of the beautiful landscape. 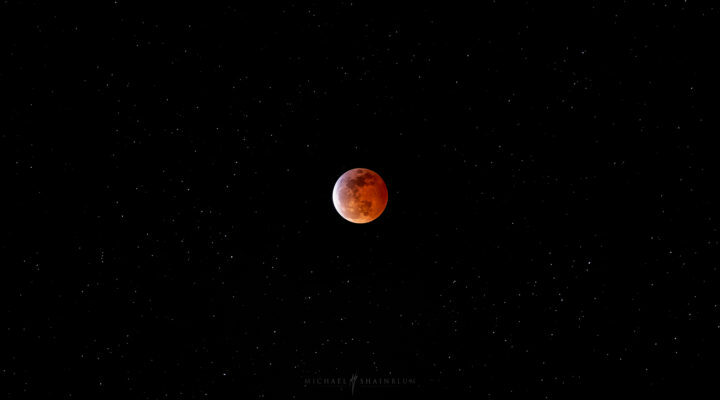 Here are a few of my favorite shots from that morning. Here is a still taken from the video. This image shows the Three Sisters Mountains from above. 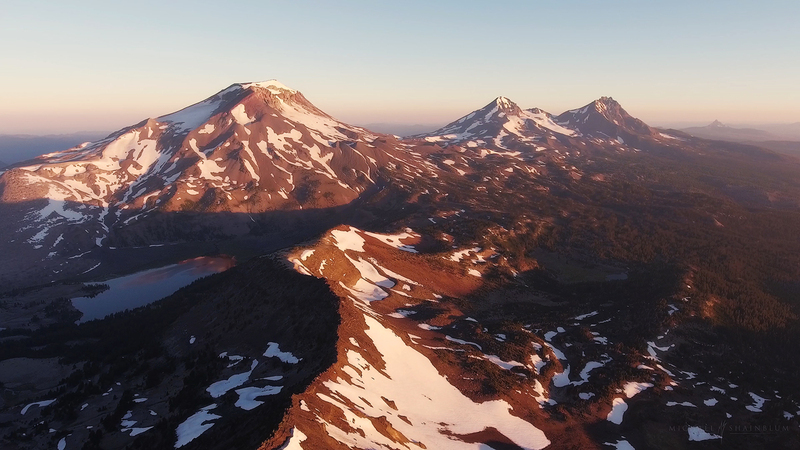 From left to right is South Sister, Middle Sister and North Sister. 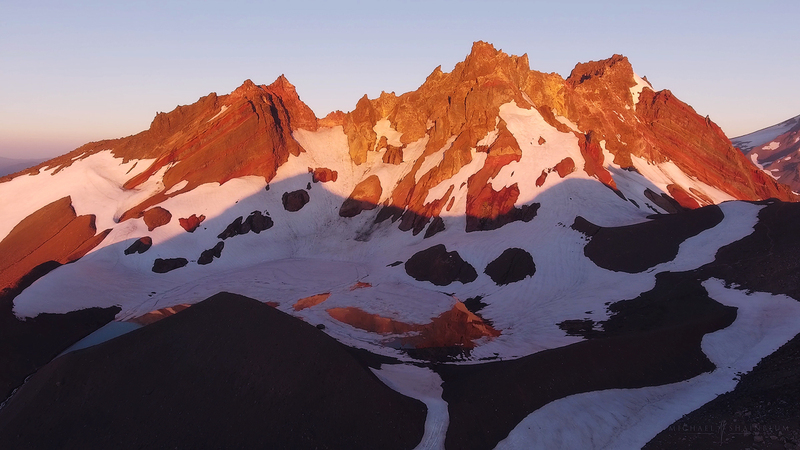 This image shows Broken Top from above. Down towards the middle of the frame, near the reflection lake is where we camped for the night.